All photos courtesy of Hotel Kabuki. With its quirky craft shops, trendy ramen bars, and vibrant, well-preserved history, San Francisco’s Japantown, one of only three remaining in the United States, is a fascinating, if not downright cool, place to visit. 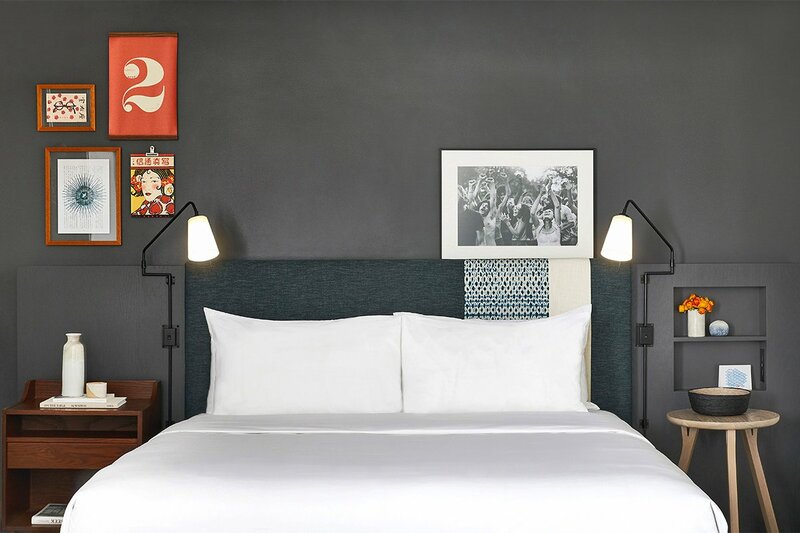 Should you want to spend the night (and you should), your inn of choice is a neighborhood classic: Hotel Kabuki, which recently underwent a major renovation by Brooklyn architecture and design firm MARKZEFF. Now under the Joie de Vivre hotel company umbrella, the updated boutique, in the building that once housed the Japanese Consulate, captures the neighborhood’s distinct and ever-shifting East-meet-West character with charm — from the retro Japanese accents in the guest rooms to the very of-the-moment lobby bar, which serves craft cocktails, hosts vinyl-spinning DJs, and overlooks the hotel’s own Zen garden and koi pond. In a city with plenty of predictable hotels and very few boutique options, this place lacks nothing for personality. Rates change seasonally and start at $199. Click here for reservations, or contact the Fathom Concierge and we can plan your trip for you. Japanese-inspired bites from the lobby bar. Style: Appropriately enough, very Japanese-American. The design takes cues from traditional Japan — calligraphy-inspired carpeting, walls that recall shōji sliding doors, tons of carbonized black and and blonde wood everywhere — but the vibe skew American. Think mega-ryokan with a rock and roll twist. 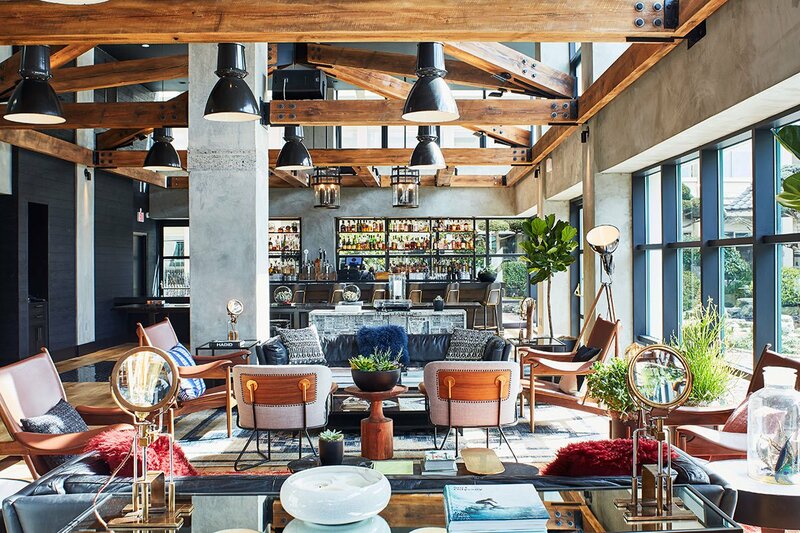 Standout Detail: The lobby, which is decked out in handsome sofas and coffee tables, shelves stacked with premium design books and vintage vinyl, and other stylish knick-knacks that reference the San Fran of yesteryear. At the end of it all is the bar, just outside is the Japanese garden. It’s a cool place to hang. 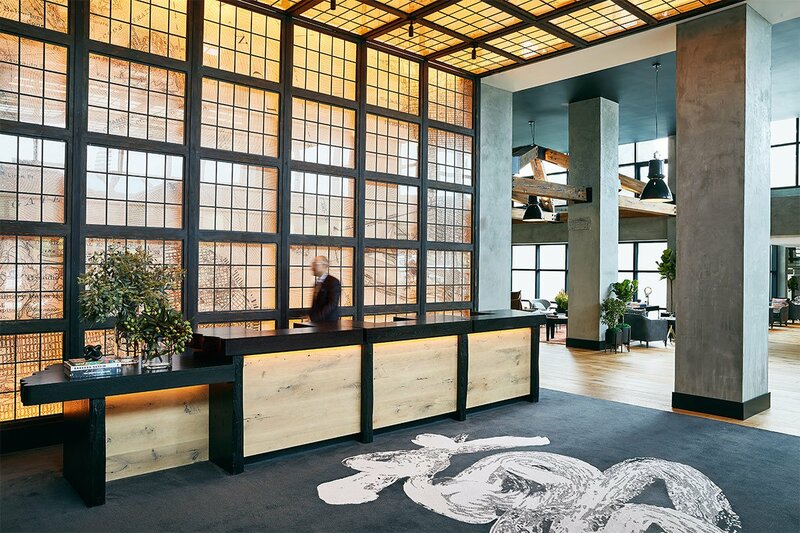 This Place Is Perfect For: Business travelers who want to mix it up, small groups who want a central place to host events, and Japanophiles who want a cool but approachable boutique hotel near excellent dining. 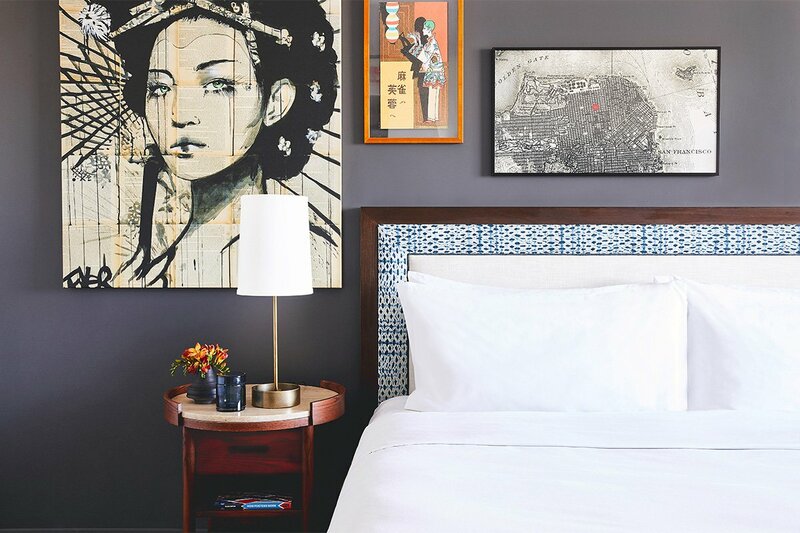 Rooms: Contemporary but not cookie-cutter, with ample ephemera — like Japanese graphic design prints from the 1930s and ‘40s, vintage maps of San Francisco, and old sumo wrestling cards — to remind you exactly where you are. If that doesn’t do it, large outdoor terraces in some rooms will do the trick. Bathrooms are modest but have large walk-in showers with Jonathan Adler bath products. 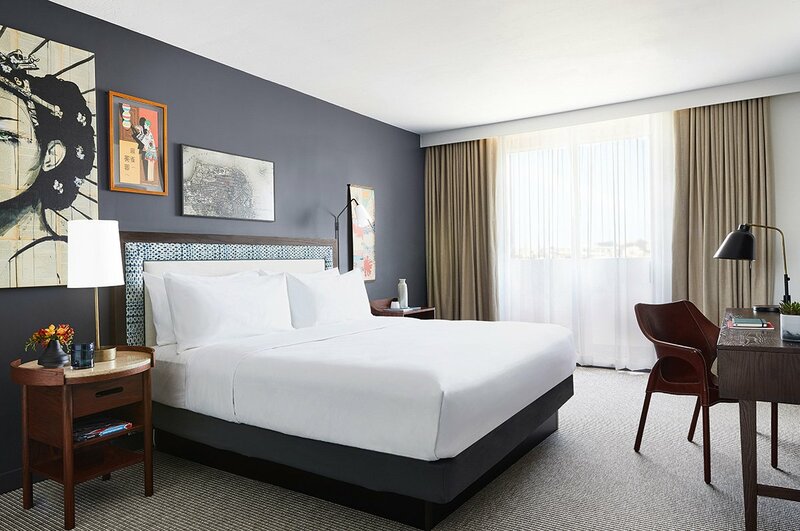 On Site: Guests can rent portable meditation stations, which come with Master & Dynamic headphones, an oversized floor pillow, Saje Natural Wellness face mist, and an iPad loaded with guided meditation exercises, to Zen-out in-room or by the koi pond or fire pit in the hotel garden. 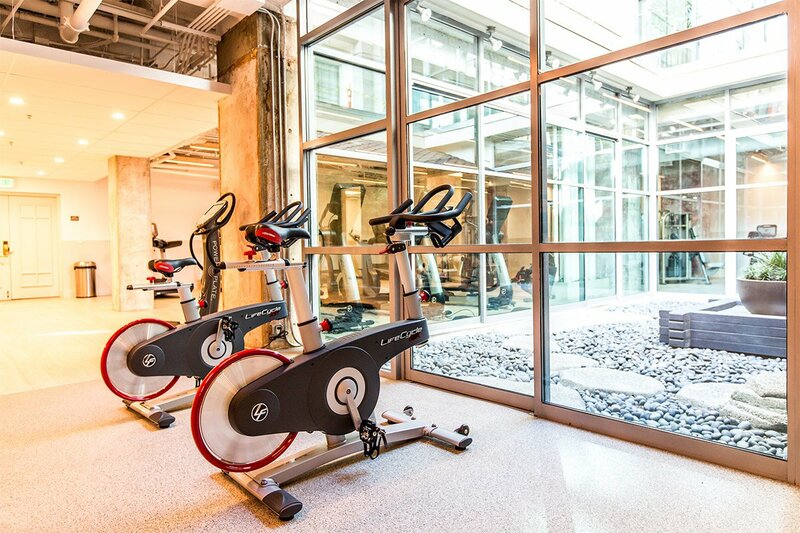 As if the focus on wellness wasn’t clear, the hotel’s modern, 24/7 gym has a Peloton bike and offers daily fitness classes like boxing and yoga. Bike rentals are available from the front desk. Food + Drink: The lobby bar serves Japanese whiskey, sake, and beers, and gets creative with craft and large-format cocktails that mix ingredients like rum and red bean rice milk to delicious effect. 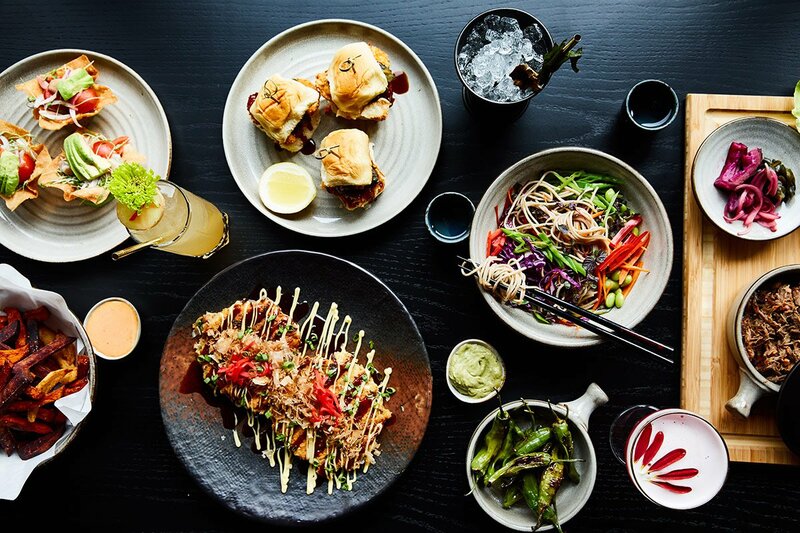 At happy hour, when the bar is most packed, you’ll find folks snacking on small bites like soba noodle salad, karaage fried chicken, and chicken katsu sliders — follow suit if you need a foundation for heavier drinking. A breakfast bar serves fruit, vegetables, and eggs from local farms and breads from nearby bakers every morning. If you like good restaurants, you’re in a good place. State Bird Provisions and sister restaurant next door The Progress both serve delicious, super-fresh American fare in beautiful settings and are practically around the corner. As is Avery and its nine-course tasting menus that highlight exquisite ingredients and rare Champagnes and sakes. Bar Crenn, chef Dominique Crenn’s much-anticipated, French wine-bar-inspired followup to her renowned Atelier Crenn next door, is a short cab ride from the hotel. This is all to say nothing of the great Japanese eateries in the area like Robin and Hinodeya Ramen. For a nice few hours in good (read: sunny) weather, grab a pastry or breakfast sandwich from Jane The Bakery or Jane on Fillmore and walk north past the nice homes in Pacific Heights towards Crissy Field for bayside breezes and views of the Golden Gate Bridge. If shopping and brunching is more the order of the day, trendy neighborhoods like the Mission District and Hayes Valley are a short cab ride away. When scaling the city’s hills starts to take its toll, check into the Kabuki Springs & Spa for a relaxing CBD massage and a schvitz.